Polycarbonate roofing comes in many different sizes and styles, depending on the region of the country. The most popular polycarbonate roofing is corrugated. 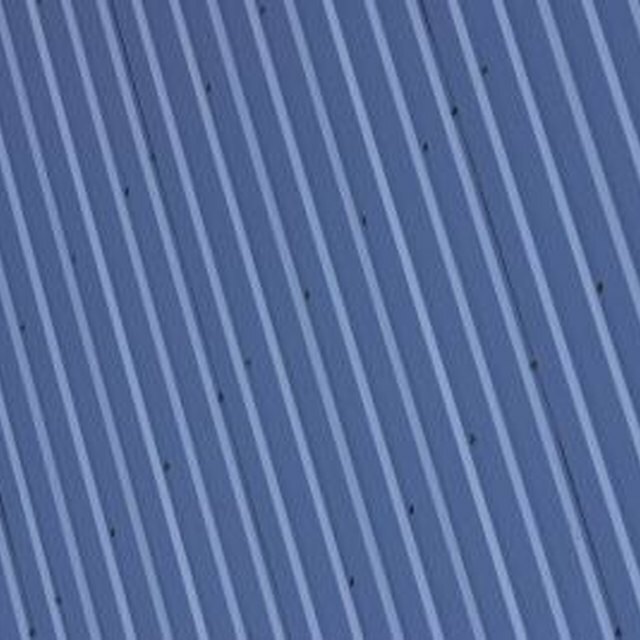 Unlike PVC, polycarbonate sheets are generally lifetime guaranteed and therefore more expensive than many other types of roofing. This roofing can be used for a house or more commonly on a barn. Installing these sheets has many similarities to the installation of the more common forms of roofing such as shingles, but there are also a few notable differences. This installation can be completed by most homeowners and is considered easier than installation of most other types of roofing. Polycarbonate roofing has a lifetime warranty. Measure the size of the roof to figure out how many sheets will be used for installation. Multiply the length of the roof by the height to get the square footage. Polycarbonate panels come in many different sizes. The ideal recommended pitch for these roofs is 10 degrees. A lesser pitch could require more weatherproofing or sealing. Nail down the flashing around the edge of the roof to prevent rainwater from leaking to the inside. Flashing comes in metal pieces and in rolls. It is commonly used under roofs of all types. Use a hammer and roofing nails to complete this step. Lay the panels along the roof, determining where the studs are, and drill holes in the polycarbonate sheets for the fasteners so they will line up with the studs. Run the ridges on the panels up the roof. The holes must be 3/8 inches in diameter and 1/16 inch wider than the fasteners going in. This will allow room for expansion when the roof is exposed to the heat and sun. Fasten the sheets to the roof with specialized roof fasteners. These fasteners prevent leaks with a waterproof seal under the head. Work from left to right, beginning at the bottom of the roof and continuing until the entire roof is covered. When reaching the end of the roof, cut the sheets with garden shears if necessary to fit properly. Overlap the panels. One corrugation is a common overlap, but that can vary. Seal the overlapping panels on the vertical side running up the roof with silicone sealant. Clean up the roof of any debris or materials left over after installation is complete.